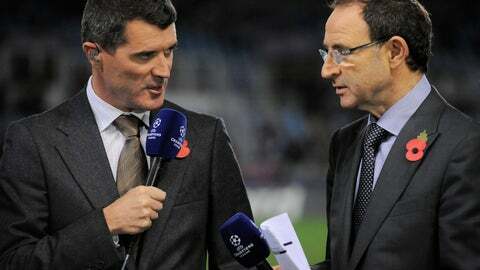 DUBLIN (AP) — Martin O’Neill ended his five-year stint as Ireland coach on Wednesday after relegation in the UEFA Nations League, taking assistant Roy Keane with him. Under O’Neill, Ireland advanced from the group stage at the 2016 European Championship for the first time, but fell short of qualifying the 2018 World Cup after a 5-1 aggregate playoff loss to Denmark. O’Neill’s 55-game reign ended with relegation from the second tier of the Nations League after earning only two points from a group also containing Denmark and Wales. Ireland has won only one of its last 11 games since November 2017, with five losses in that time, and has failed to score in any of its last four games. “It is with a heavy heart that I leave this role,” said O’Neill, who highlighted a home win over Germany in 2015 and victory over Italy in the group stage of the 2016 European Championship as his team’s best moments. O’Neill added that this year’s poor results were part of building a team for the future. Keane, one of Ireland’s best midfielders who is also known for walking out of the 2002 World Cup squad, had a high profile as O’Neill’s assistant but relations with players weren’t always smooth. Midfielder Harry Arter withdrew from the team for two games in September after a disagreement with Keane, but returned last month. Ireland’s next competitive game will be when qualifying for the 2020 European Championship starts in March.